Click Photos and enter the photo management window. To add photos to your device, simply click Add and select the photos you want to import, then click OK to finish the process. 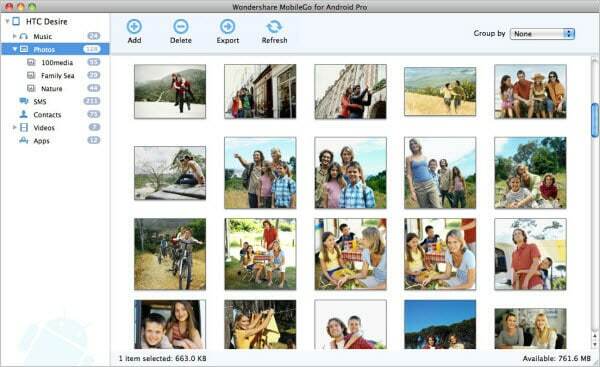 To export photos from device to computer, click Export and select a folder to save the photos. In addition, you can preview, delete photos, create/delete/rename albums and even sort photos by time, place, folder, etc.